Despite their own religiosity, American politicians express alarm at the theological nature of Iran’s political system. 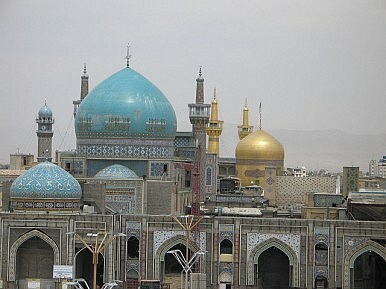 At various times religion has played a central if often contradictory role in the debate over Iran’s nuclear program. Iranian leaders, for example, have often invoked Islam in arguing that they do not harbor ambitions to acquire nuclear weapons. Similarly, Grand Ayatollah Hussein-Ali Montazeri, issued a fatwa against the acquisition of a nuclear bomb. The recent election of Hassan Rouhani, considered to be a relatively moderate cleric-politician, has sparked hopes in the West that the new Iranian administration would be less wedded to religious ideology. The reaction in the United States to these statements reveals how Americans view the relationship between religion and nuclear weapons policy. On the one hand, the Western world has often used the Islamic aspect of the Islamic Republic as a central reason why Iran must be prevented from acquiring nuclear weapons. On the other hand, Western leaders attempt to exploit the anti-nuclear statements by Islamic clerics. This underscores the West’s parochial understanding of the role that religion plays in public life, particularly in Islamic societies, and leads it to distort policies toward Iran. Iran, while not a North Korean-style closed society, remains enigmatic to Western analysts. Islam is a convenient lens through which to analyze its behavior. This type of analysis also fits in with a larger discourse that has become particularly influential post- 9/11, which views the Islamic “Other” as motivated by religious imperatives. Typically, however, Western scholars who believe that religion is central to Iran’s foreign policy are alarmed by the theological component. According to this viewpoint, religious imperatives are non-rational and therefore those guided by religion are impervious to deterrence. Regardless of whether Shi’a Islam drives Iranian decision-making or not, the key point is that Westerners in general, and Americans in particular, often hold a contradictory view on the role of religion in public life. Specifically, while Washington is alarmed when other countries’ appear to mix religion and nuclear policy, American politicians readily admit their religious beliefs influence their decisions in public life. For example, the rising “Tea Party” Senator, who many believe holds presidential ambitions, Rand Paul (R-KY) has declared: "I see decisions government makes almost always in moral terms." Elsewhere, Senator Paul called for standing “with our fellow Christians in the Middle East and around the world” and railed against the U.S. sending foreign aid to countries that are “hostile” towards Christians, such as Pakistan and Egypt. Similarly, in the vice-presidential debate during the 2012 election, the Republican candidate Rep. Paul Ryan (R-WI) said "I don't see how a person can separate their public life from their private life or from their faith. Our faith informs us in everything we do." Quite apart from its slim chance of changing attitudes in Tehran, this rhetorical strategy runs the danger of strengthening the importance of religious leaders in Iran—where they are in fact deploying Islam as a weapon in their battles with their opponents. This strategy also further strengthens elite and public views in the West that Islam drives Iranian nuclear program. Attempts from the outside to decipher the legitimacy and weight of religious claims on Iranian policies are likely to be futile and misleading. The real issue at hand is Tehran’s desire to be taken seriously, as a legitimate international actor. Stereotyping Iranian decisions as religiously-inspired will only hurt its claims to legitimacy, when in fact we should be encouraging responsible voices within Iran. Ksenia Bergantz is a recent graduate of the Political Science program at San Jose State University. Karthika Sasikumar teaches International Relations at San Jose State University. Reforming the Nuclear Nonproliferation Treaty for New RealitiesThe New Nuclear Normal in North Korea?Looking Back: The 1998 Nuclear Wake Up Call for US-India TiesUS Confirms North Korea Willing to Discuss 'Denuclearization of the Korean Peninsula'. What Now?Trump's Nuclear Posture Review and China: No Way Forward?